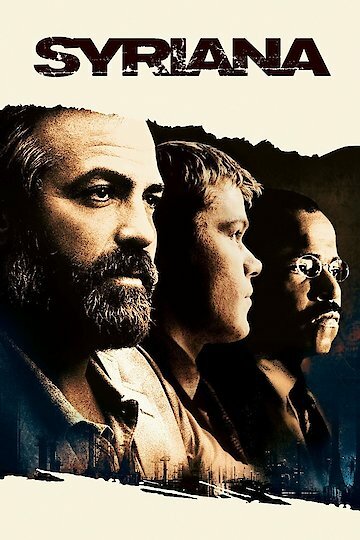 Syriana is a political thriller set in the Middle East featuring an ensemble cast including Matt Damon and George Clooney. The movie features several storylines centered around a multinational oil company's efforts to regain control of precious oil and natural gas fields that have been sold to China by the foreign minister of a Middle Eastern kingdom. The film finds its intensity from the story centered around Bob Barnes, a CIA operative. Barnes investigates illegal arms trafficking in Tehran. He notices that one of two anti-tank missiles has disappeared. Barnes asks his superiors about the theft, but his inquiry makes people nervous, and he is reassigned to a desk job. This reassignment doesn't suit Barnes's personality very well and he soon offends the wrong people. Unsure what to do with him, the agency reassigns him back into the field to assassinate the troublesome foreign minister licensing oil and gas rights to China instead of a US-based energy giant named Connex. Barnes travels to Lebanon where he is captured by an Iranian agent and tortured nearly to death. Only a last minute arrival of a Hezbollah leader who knows Barnes saves him from being beheaded. The plot to kill the foreign minister has been exposed, however, so the CIA abandons Barnes. They accuse him of being a rogue agent acting independently. The other storylines feature stories related to other aspects of Connex's involvement in the middle east. An American born energy analyst advises the foreign minister on economic policy. A disenfranchised youth uses the missing anti-tank missile noticed by Barnes to blow up a Connex oil tanker. Boardroom politics highlight a corporate merger between Connex and another energy company. Syriana is a film that emphasizes the dangers that exist as myriad powers compete for a vanishing resource -- oil. Syriana is currently available to watch and stream, buy on demand at Amazon, Vudu, Google Play, iTunes, YouTube VOD online.